I must preface this review by saying that I am a harsh critic when it comes to an author's writing. As a writer and English language nerd, I give authors very little grace when I read poorly written passages, weak plots, poor word choice, flat characters, etc. However, I also read for the pure pleasure of it and have enjoyed many "fluff" reads (think "beach reads"). Disclaimer aside, I shall proceed. 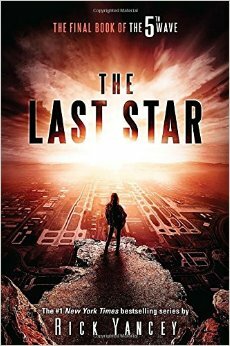 I had waited for the release of the final book, The Last Star, and ordered it on Amazon as soon as it was available. And I waited with anticipation for it to arrive and finished it in 3 days. But I was disappointed. I had began this series with zero expectations and was pleasantly surprised with how much I enjoyed the first book, The 5th Wave. The second book, The Infinite Sea, followed suit and was nearly as good. But the third did not accomplish what I had hoped. It didn't sustain the intrigue and plot sufficiently, nor answer the pressing questions. I rated the first two books 4/5, but gave the third a mere 2/5. What happened? Yancey breaks many traditional writing "rules." Many of these rules, like following grammatical conventions in writing, can be bent sparingly and when it serves the overall purpose. Yancey breaks these rules, but it detracts and causes confusion. One of my biggest pet peeves of his is that he "head hops" about half a dozen times in this last novel, and also switches writing tense. The reader is inside the head of Ringer, Cassie, and Ben through 1st person point of view. But then other chapters throw you into the mind of Sammy, Evan, and other random non-characters through 3rd person point of view. I don't understand the necessity of this, nor do I understand why the chapters from Sam and Evan are written from an onlookers perspective (he/they/etc.) whereas the chapters from Cassie/Ringer/Ben are written with the "I" pronoun. Character development is another problem. Cassie is a main character in the third book. You could even argue she is THE main character in the series, but as the reader, I wasn't even sure I liked her. She was annoying and confusing (yes, teenage girls are confusing, and I get that because I was one). I didn't feel like Yancey knew how to write a genuine perspective of a teenage girl. Instead, her character seemed cliche, not dynamic or dimensional. She was the "average girl the guy loved desperately and she couldn't figure out why" who was angry at her guy most of the time, but he still loved her because she's worth it. Why? Why is she worth it? I don't mean that question rhetorically. You have to make it believable that Evan Walker (who believes he's an alien) would give up his planet and a peaceful/perfect existence for her besides the fact that she represents the idea of humanity to him. Couldn't any girl do that? "Evan Walker has biceps. It's not important to mention this fact, as biceps are muscles most people have. I just thought I'd mention it." "My hands were mauling that old OSU shirt. It was very maulable. That's a good word, maulable. It applies to so many things." I think ultimately I was disappointed in this book because it promised so much and had such potential, yet didn't deliver. Yancey could write powerful, intellectual lines like "For some, death is the midwife to faith. For others, it is faith's executioner" and create great symbolism, but then have the characters state things like "Oh well, YOLO" (which I don't think fits in an apocalyptic novel). And I'm left with the nagging questions: Who is the alien Other that has been watching earth for thousands of years? What happens to earth after the mothership is destroyed? Does it return to "normal"? Why does Evan decide he has to leave at the end? And how did they download him back into the human body after Vosch erased him? And, why was Vosch that easy to kill? Wouldn't he have figured out a way to "re-upload" himself into another body? I'd recommend the first two books in the series, but warn against disappointment with the third.